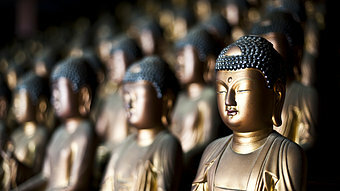 Buddhism has a growing visibility in mainstream Australia. Tibetan prayer flags fly from many porches across the inner-city, Bunning’s Warehouse sells Buddha statues and water-features and Big W sells paintings of the Buddha. While there is a real and growing presence of Buddhism among white Australians, much of the growth of Buddhist paraphernalia isn’t from genuine followers. Instead, Buddhism has been widely appropriated and pacified by a broader audience in a manner which fits broadly in the context of Orientalism.